These presentation slides 40243 are complete compatible with Google Slides. Simple download PPTX and open the template in Google Slides. 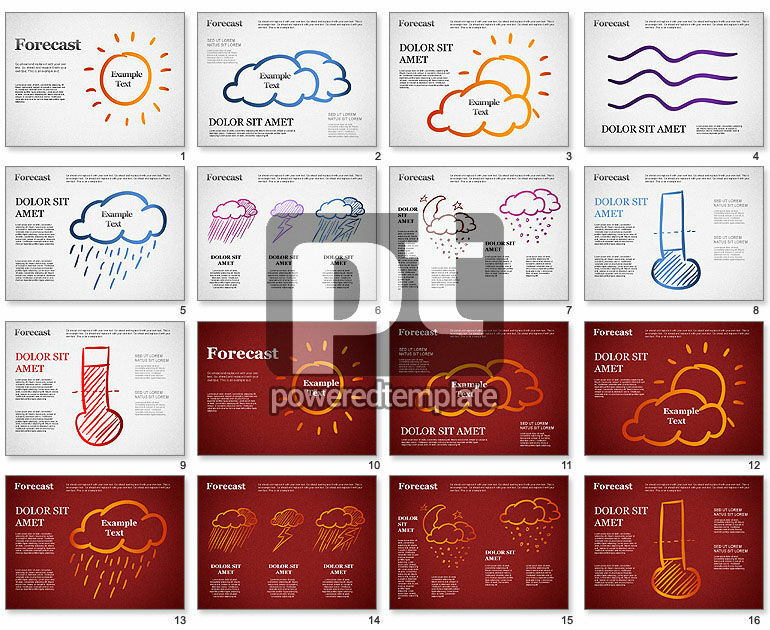 Enjoy this adorable Forecast Shapes created in a casual hand drawn style for great presentations dedicated to all kinds of forecasts: weather, business, planning, project management, economics, startups, profit, time management and so on. There are many clouds, thermometers, sun, rain and so forth with background solutions. This extraordinary sample is perfect for many fields of business.